A United Nations expert on human rights will visit South Korea next week to collect information on North Korea, his office has said. 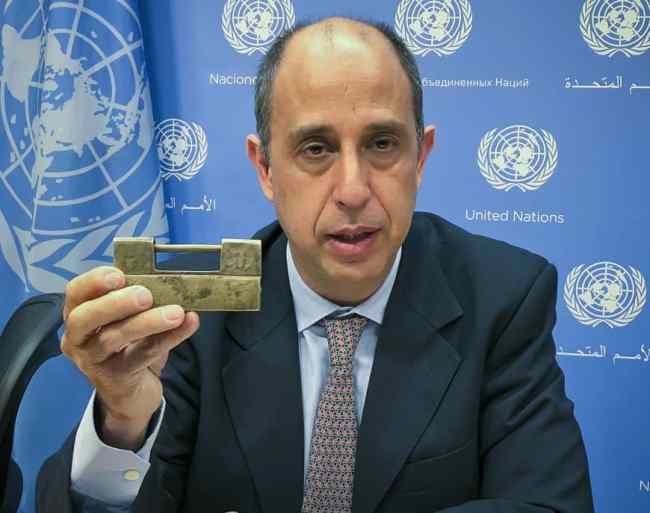 Tomas Ojea Quintana, special rapporteur on the human rights situation in North Korea, will meet government and civic group officials and North Korean defectors during his trip to Seoul from Monday to Friday next week, according to the office. He regularly visits South Korea and reports annually to the U.N. council on human rights. Next week's trip will be his fifth to South Korea since he was appointed to the post in March 2016. He last visited Seoul in July 2018. The office said that North Korea has not granted his repeated requests to visit the country to see the human rights situation facing North Korean people.